I think I have found a favourite nail polish. My mum’s reaction… “surely not – how can you choose”. I love it, she knows the obsession all too well. My mum also taught me how to bargain hunt – this beauty was £3. 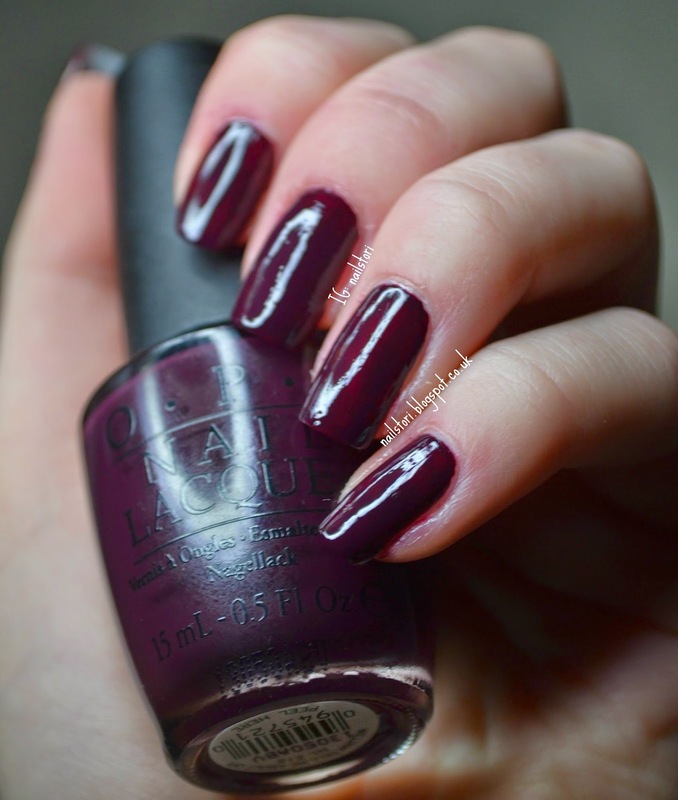 It is OPI – William tell me about OPI. You’ve gotta give it to OPI for their creative and somewhat ridiculous polish names. William didn’t need to tell me much about OPI before I fell in love with it! Only one coat and an Essie top coat and this is it’s glorly! I couldn’t capture the colour quite right in a picture but it’s basically a super dark purple and it’s amazing. I didn’t even have to do clean up on this colour – I don’t think it will even stain. Basically, it’s a christmas miracle. But I don’t want to over exaggerate.